Are you looking to lease or purchase an affordable vehicle? Look no further. UK car buyers can now take great respite in the new Dacia model which could suit your pocket quite nicely and yet still offer great quality and value for money. The new model beats even the likes of the new BMW 3-Series, Toyota GT-86 and other car models that have remained relevant in the car industry for quite a while. Having recently picked up a number of awards, the Dacia, a subsidiary of Renault, is poised to remain the car model to lease or even purchase in the UK. Dacia is very much obliged and committed to assuring its customers of value for their money and aims at being your ultimate car brand. The unrivalled quality of the new Dacia Duster SUV beguiles car buyers with its voguish, chunky state-of-the-art design and impressive spacious interior. 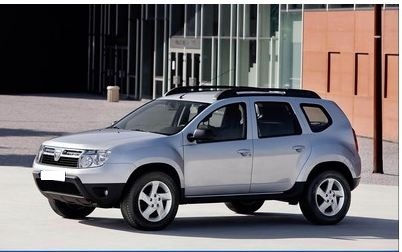 The Dacia Duster SUV seeks to equal the phenomenal success of its predecessor models by bringing on board the most spectacular features that promise value to all car buyers and to those individuals who go for its lease or purchase. If you’re looking to purchase or lease a new Dacia contact our sales team. Alternatively, visit our website where you will find new and used Dacia’s available for sale or on finance.